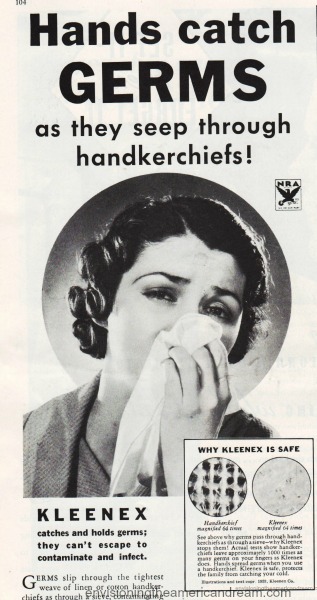 So when the miracle that was Kleenex appeared as an alternative to messy unsanitary hankies it was truly considered life saving . 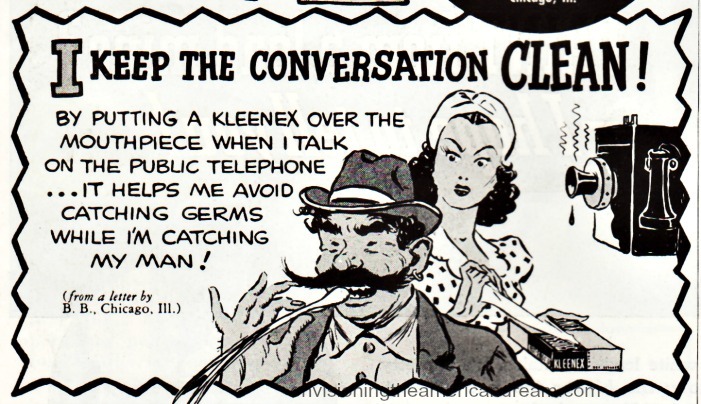 “Keep that cold to yourself,” Kleenex announced in this 1933 ad. 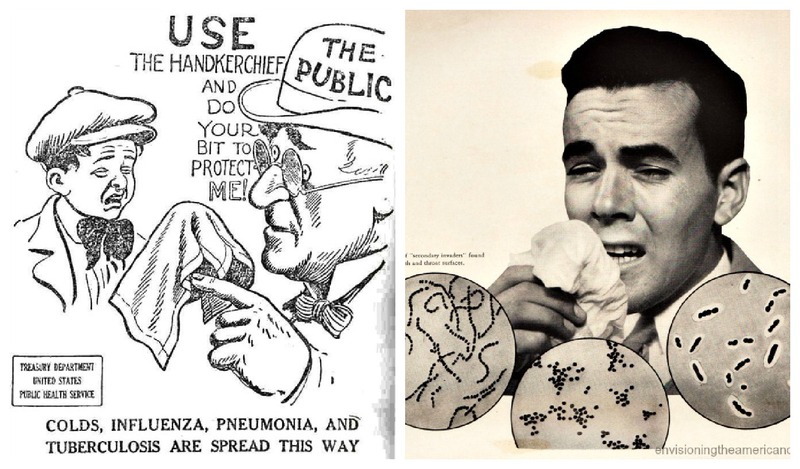 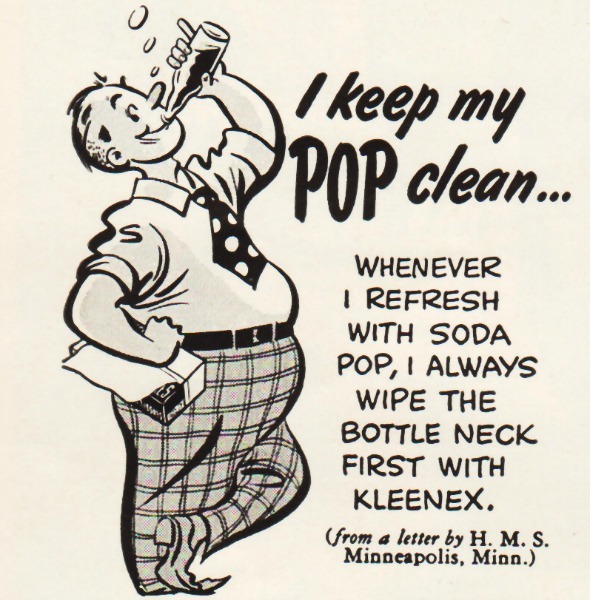 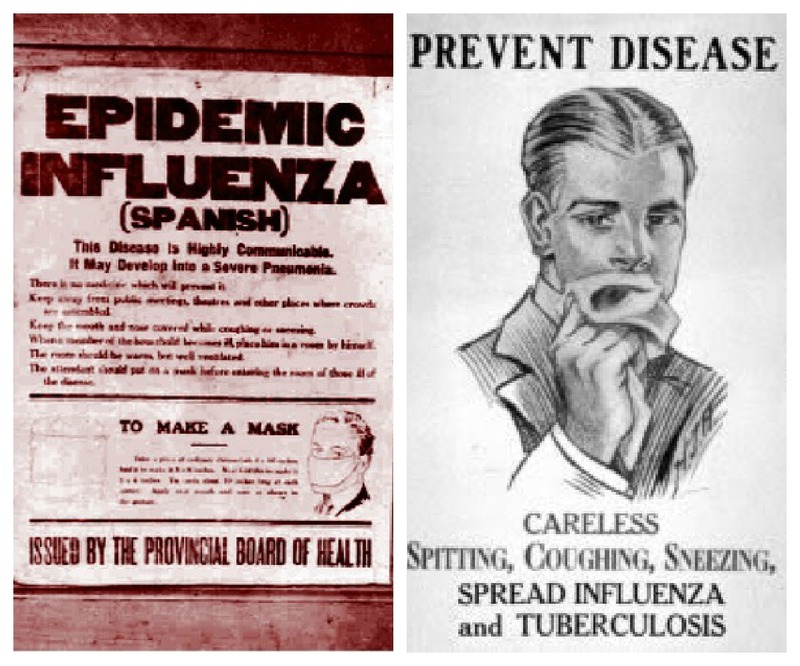 .But Kleenex’s great contribution to health was nearly missed initially, my grandmother remembered. 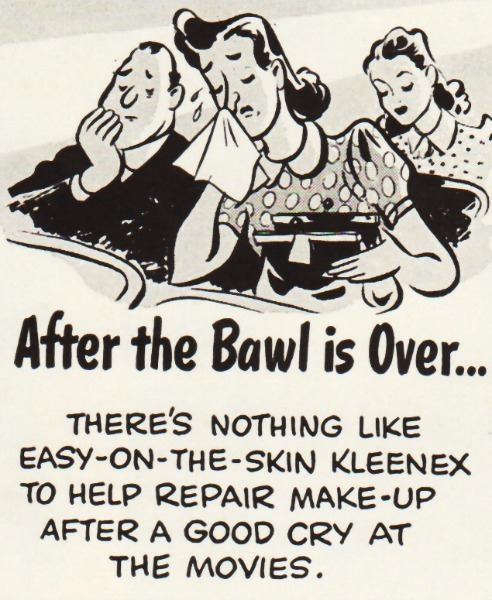 Young women like my grandmother wanted to emulate beautiful actresses like Helen Hayes who was featured in ads removing make up “the scientific way” using this ” modern disposable substitute for a face towel” called Kleenex Kerchiefs. 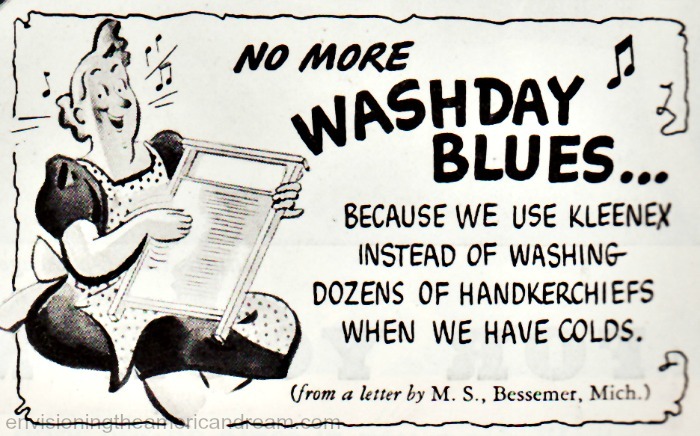 It was so new a product they needed to explain and instruct a curious public what it was. 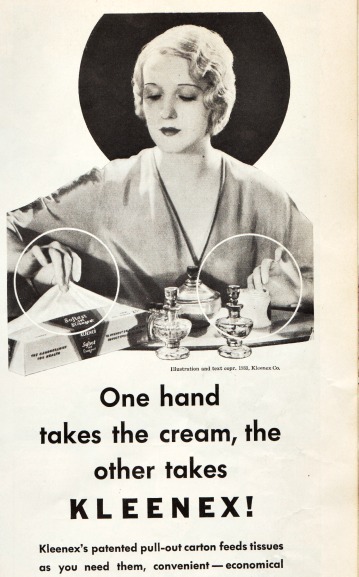 Even the box itself was proclaimed a marvel of ingenuity, and modern design. 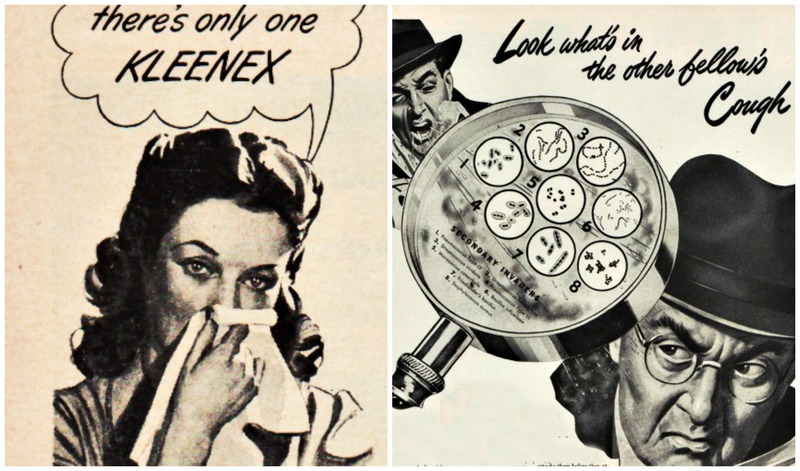 “One of the things you will like about Kleenex tissues is the unique patented box they come in. 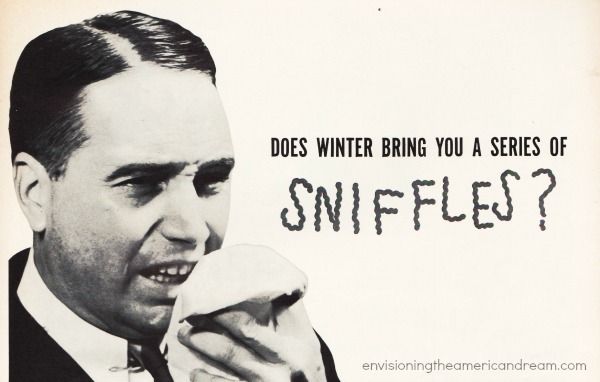 Kleenex tissues are fed out one double sheet at a time! 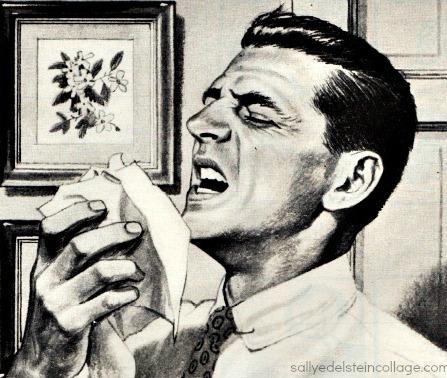 You do not have to hold the box with one hand while taking tissues with the other. 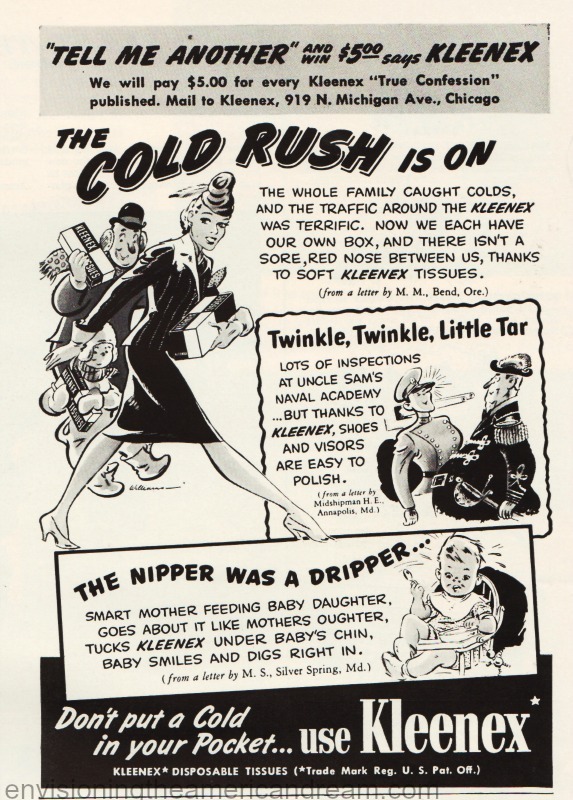 Soon the company was swamped by letters from consumers offering ideas for all sorts of uses for Kleenex. 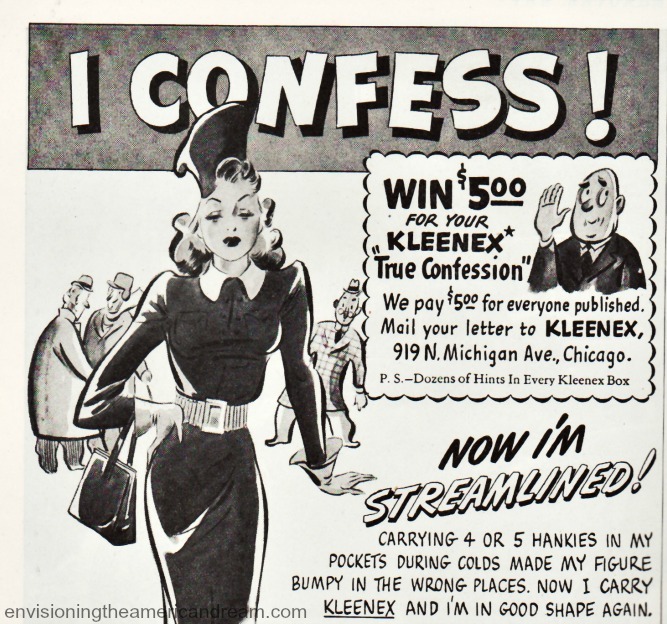 Kleenex began running the suggestions in their ads under the title “Kleenex True Confessions” offering $5 for every story of how they used Kleenex. 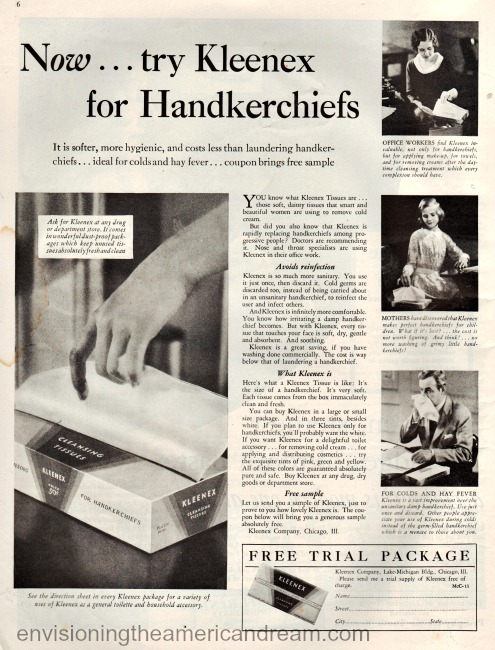 Encouraged to adopt the Kleenex Habit we were encouraged to keep a box of tissues in every toom in the house, as well as in the car where you could install a special chromium holder to fit under the glove compartment. 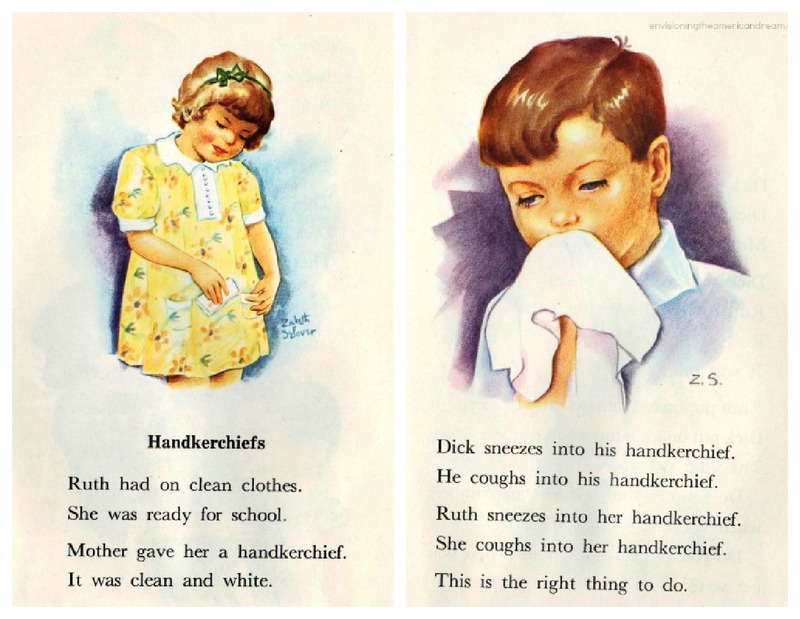 Although hankies eventually came back into favor, and Nana, like my mother, always carried an ironed and neatly folded hanky in her pocketbook, she would never dream of blowing her nose in one.